Panama City, Florida is located on the panhandle of northwest Florida on beautiful St. Andrews Bay and the Gulf of Mexico. Panama City is known as a popular tourist location year round offering a comfortable climate and friendly atmosphere. 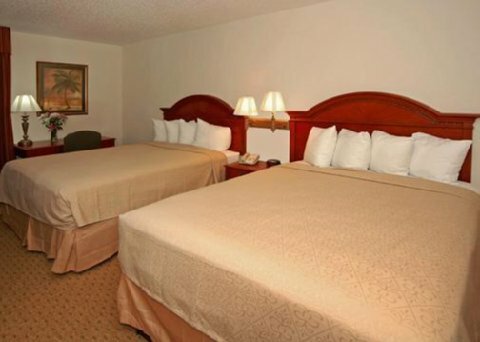 Each of the spacious guest rooms and suites features free high-speed Internet access, coffee maker, hair dryer, ironing board, microwave, refrigerator and clock radio. Suites also offer sofa bed and separate living area. Enjoy our daily deluxe continental breakfast, relax in our outdoor pool or get in a workout in our fitness center.